I tickled a sheep too! Very cute, love the earmuffs ! Cute :) I <3 the scarf! 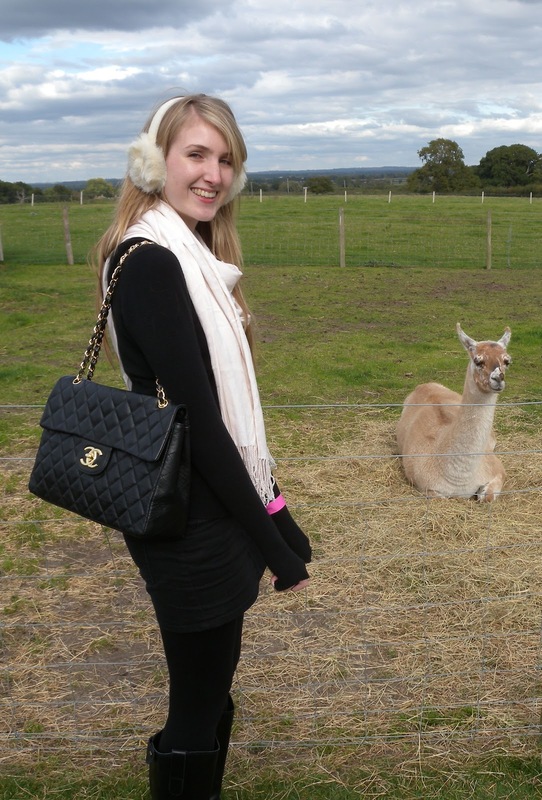 Love the ear muffs :) VERY jealous of your bag!!! I love your look especially the earmuffs! I want your bag!!! It's such a classic, and adds glamour to any outfit! Love the earmuffs too!